Pleskarn Ltd are a leading medical supply business, based in Lancashire. 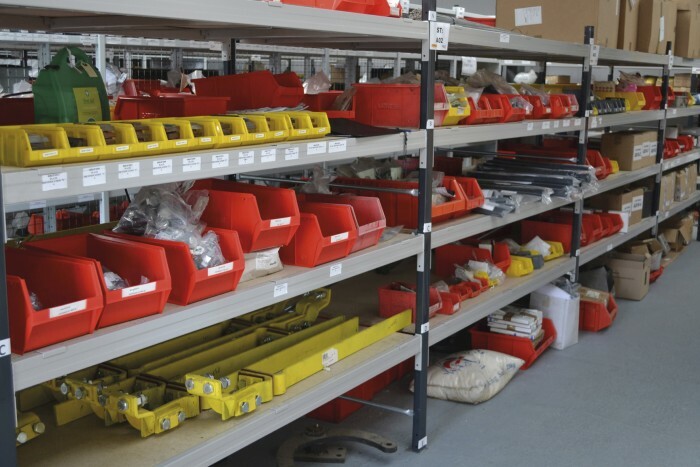 Due to the large number of products stocked by Pleskarn they are reliant on industrial shelving. Pleskarn was looking to relocate their existing medical supplies longspan shelving Lancashire from their old mill to a new site in Stockport. NSI initially planned how best to run the project in order to minimise any hold-ups to the existing operation. This enabled Paul Sharpe, Managing Director of Pleskarn, to concentrate on the running of the business. NSI then dismantled each of the four areas of shelving which were located on various floors; the longspan shelving was then transported to the new site and installed into two large areas. During the project, NSI worked closely with the forklift truck representative to ensure that goods were easily accessible. This enabled Pleskarn to move into their new premises with minimal fuss and confusion. NSI can be your partner in any move of premises. We have the expertise to make any move of premises in to a success and will consult with you at all stages so that the process runs smoothly.